Note: For the metabolic component of todays workout, each Athlete will have 4:00 to row 500 meters, perform 21 Kettlebell swings, and then in the remaining amount of time, complete as many Double-Unders as possible. Your “score” is the number of successfully completed Double-Unders. Weighted Jump Ropes will also be a modification for the Double Under. Mens Kettlebell weight is 53lb. and women’s weight is 35lb. The Advanced goal for today’s workout is 100 or more Double Under repetitions each round. Congratulations to Zach on being recognized as Athlete Of The Week at CrossFit Amundson. As depicted in the photograph above, Zach is a true warrior in every sense of the word. 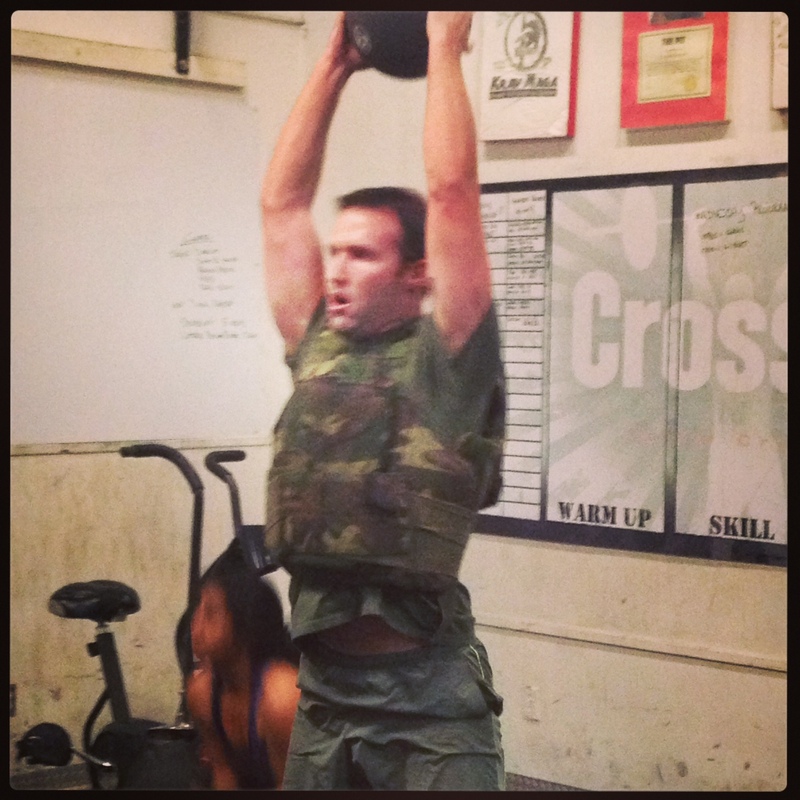 In order to prepare for the demands of his career in Law Enforcement, Zach routinely wears the 30lb. Flak Vest during his workouts. Zach has been training for over a year at CrossFit Amundson, and he is extremely disciplined in his training methods and technique. The most notable quality of Zach is his determination to always give his very best effort during the workouts. Congratulations Zach on all your success and keep up the inspiring work! We are starting our third week of Clinic and will focus on the Power Clean and Rope Climb techniques. Today is the official “KIDA!” and bow-in for Krav Maga Santa Cruz Phase A and Phase B. We have over 50 people registered for Phase A and B. This is going to be an awesome! Greg Amundson recently teamed with Coach Mark Divine, the Founder of SEALFIT and a two-time New York Times bestselling Author, to create a video series to provide viewers with education and inspiration on the Warriors path.